I’ve already got a blog. www.hutber.com but I share this with my sister so it seems tainted if I include warhammer on that place. I must say I would like to program my own blog which could also handle tracking all of my models. Displaying their points values, how complete my goals are for painting. Basically just to keep track of everything I have… Stopping me from buying any more. I do have too much, but its too hard to stop… Its an addiction for sure, I see that now. But I am unable to stop. Ohh one thing worth mentioning is that I’m more or less illiterate. So there will be many things you will hate about reading this.. If anybody does. So much more than 5 months ago, it amazes me really!! This is the only painted stuff I currently have. Its pitiful. 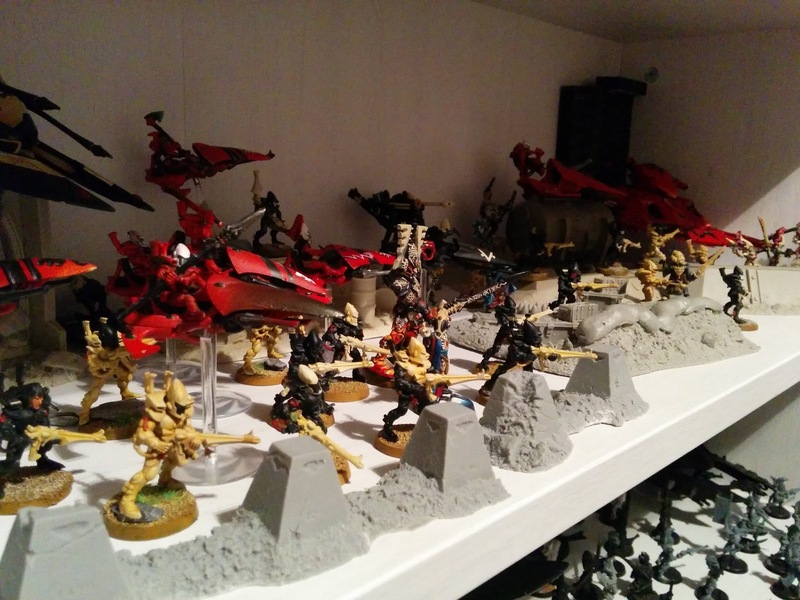 The aim then, to document everything I own that is warhammer.